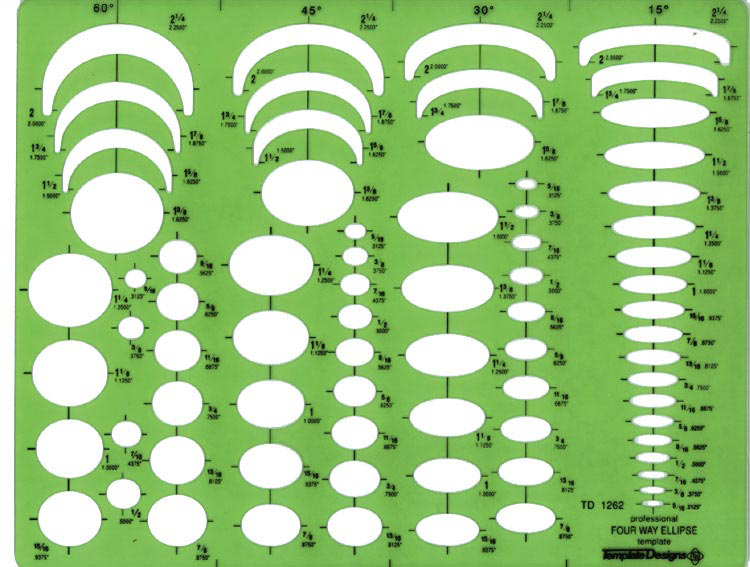 Four-In-One Ellipse Drafting Template Contains 74 ellipses in projections of 15, 30, 45, and 60. Major axes of 5/16" to 2Â¼". Size: 8Â¾" x 12" x .030".